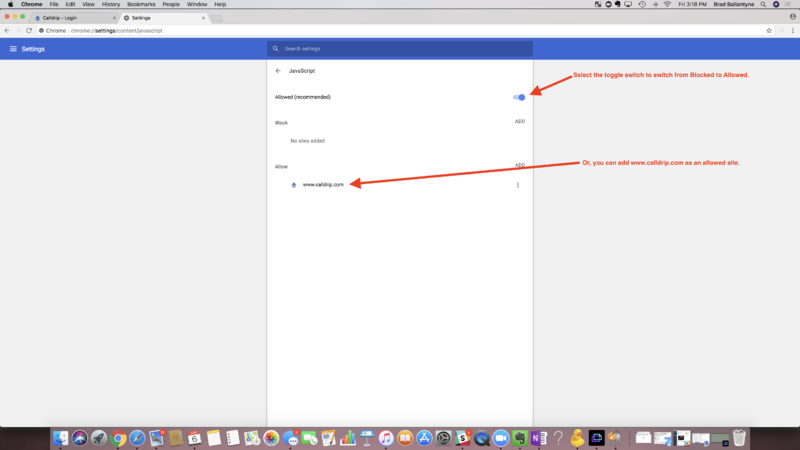 Is Calldrip not responding when you click "Log In"? 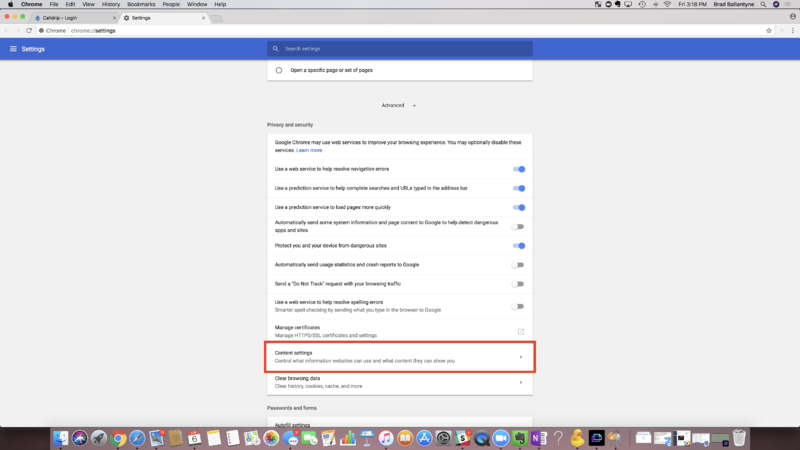 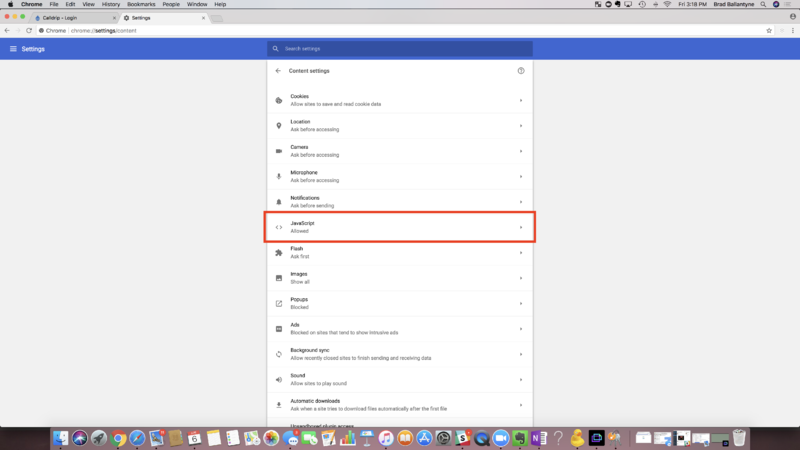 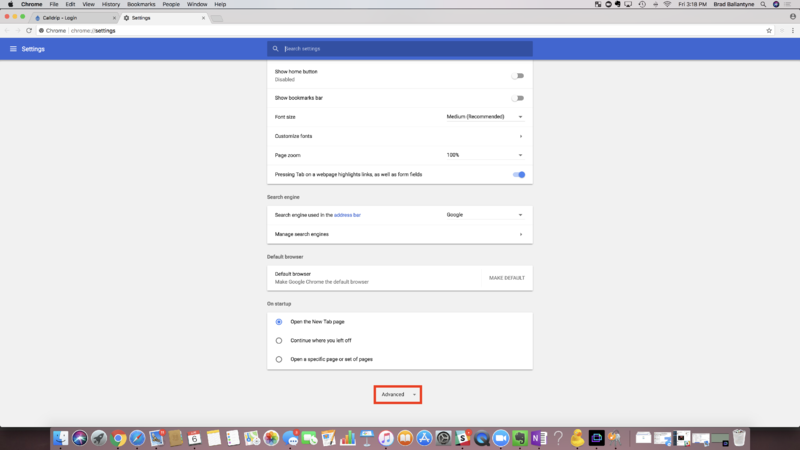 Once in Google Chrome, please navigate to Preferences/Settings. 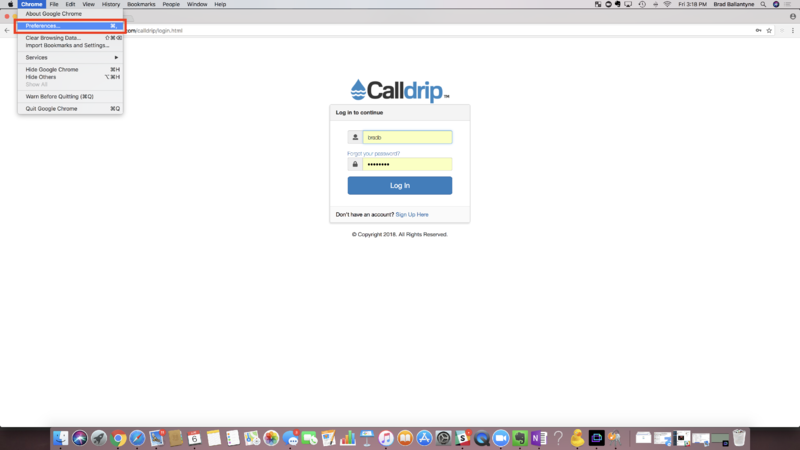 Add www.calldrip.com as an Allowed site.